With the festive season coming closer, it's that time of the year when you need to stock up your wardrobe with a few traditional kurtas. With Raksha Bandhan, Ganesha Chaturthi, Durga Puja, Navratri and Diwali lined up one after the other, the festive season calls for these stylish kurtas which bring out the ethnic charm in a man. 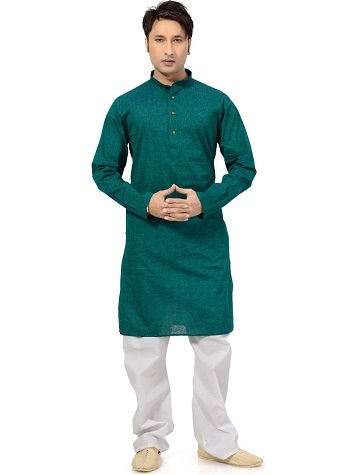 This super stylish green kurta is the perfect pick for Raksha Bandhan. Whether you have invited your sister at home or plan to take her out for a nice meal, you can rock the Raksha Bandhan look with this green kurta. Pair it with a white or beige pajama and a pair of leather sandals. 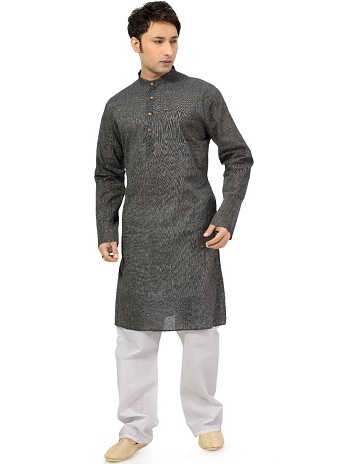 With a super soft fabric and comfortable fit, this grey coloured kurta is quite versatile and can be worn on most occasions. The fabric is super light and lets you run around during the time of festivities without making you uncomfortable. You can pair it with the white pajama or linen pants for a dapper look. 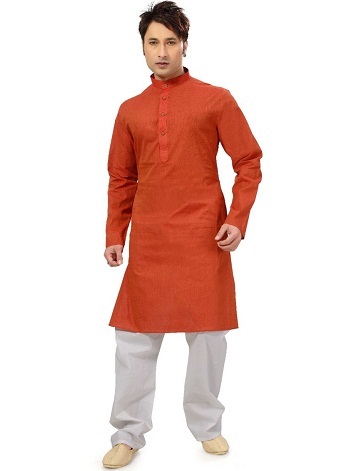 This orange kurta is apt for Ganesha Chaturthi celebrations. Planning to go pandal hopping this Ganesha Chaturthi? This kurta is the best pick. The shade perfectly complements the occasion. Team it with a white pajama and a pair of brown coloured sandals for the perfect look. 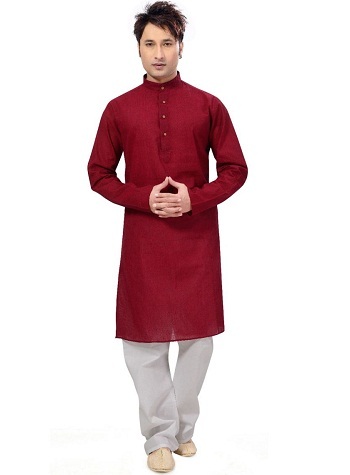 The bold red kurta is ideal for Diwali. The colour red looks quite auspicious on such occasions. Looking for an elegant kurta for Laxmi Pooja at home? This one is what you need. Pair with a white churidar and a pair of Kolhapuri chappals. A white kurta pajama set is a must have in every man's wardrobe. 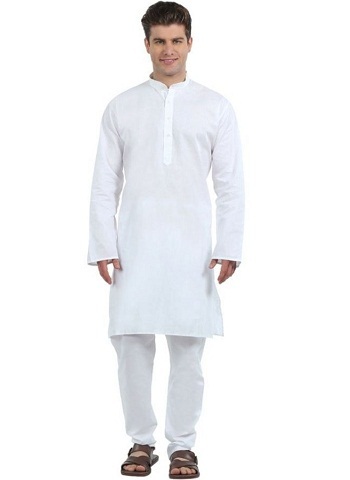 If you are planning to attend a pooja or host one at your home, a white kurta pajama set is everything you need. Pair it with a white churidar or dhoti and a pair of leather sandals.